In the spring of 2014, an organized militia set out to create a form of Islamic government known as a caliphate in the Middle East. As spring turned to summer, this Islamic State (ISIS) destroyed the lives of hundreds of thousands of Syrian Christians, Iraqi believers, Yazidis, and various sects of Shia Muslims. Over a million were driven from their homes, and thousands of others were slaughtered or enslaved as this ruthless caliphate swept across Syria and Iraq. Thousands upon thousands fled into the Kurdistan region of Northern Iraq to places called Erbil and Dohuk. They took refuge in parks, stadiums, abandoned buildings, parking garages, shelters, and tents. Months later, many of them continue to live in camps and refugee centers with little hope of ever returning home. I have just returned from Northern Iraq where I served with a Kentucky Baptist Disaster Relief Medical and Children’s Trauma team. The team was comprised of Dr. Tom Ashburn of Barbourville, Glenn Hickey of Monticello, Stacy Nall of Shelbyville, Pat Callan of Sparta, Debra Kramer of Henderson, Karen Smith of Shepherdsville, and myself, Coy Webb, Kentucky Baptist DR Director. We spent nine days in Northern Iraq seeking to bring help, healing, and hope to those displaced by war and violence. 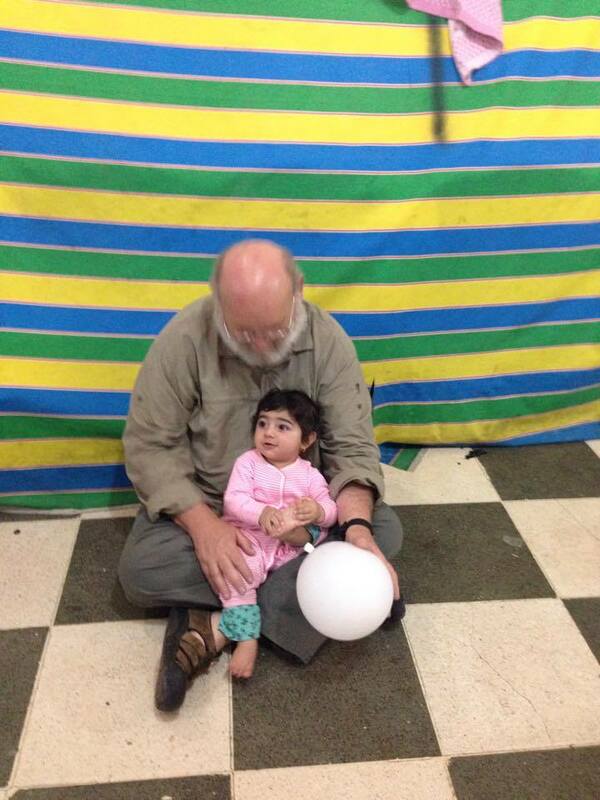 As we ministered among the refugees, they only asked one thing of us, “Will you please tell our story to the world? Life as a refugee is difficult. In the winter, they endured snowstorms and cold temperatures. Now, in the summer, the heat can soar above 130 degrees Fahrenheit and the sun is scorching. Multiple families are forced to share very limited water sources, bathrooms, and kitchen areas. Every day is a battle to feed your family and to survive. The people that we met were normal businessmen, professionals, and middle class folks in villages and towns. But, when ISIS came, they literally had to run for their lives. The choice was convert to Islam, run, or die. Most had to flee in the middle of the night, many with only an hour or so notice. They had to grab what they could and flee, only to be stopped at ISIS checkpoints where they were forced to abandon their cars and personal belongings. Many were betrayed by Muslim neighbors, whom they had lived beside all their lives. Others watched as young daughters were taken from them to be sold as brides or slaves to ISIS fighters. The life they knew was jerked from them in a moment. 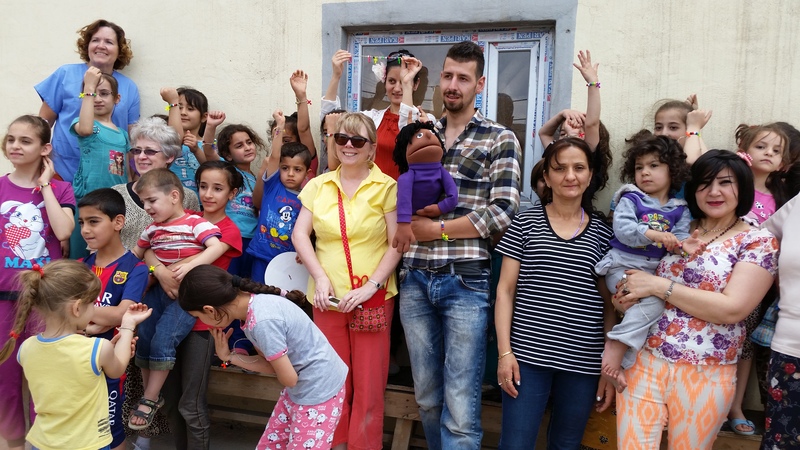 Most families arrived in places like Erbil or Dohuk with nothing but their lives. The Scripture on the wall, where our team set up to provide medical care, perhaps best shared their plight, “Yes, the time is coming that whoever kills you will think that he offers God service. And these things they will do to you because they have not known the Father or Me” (John 16:2-3). This is the reality of our brothers and sisters scattered across Northern Iraq by persecution. Our Kentucky Baptist Disaster Relief team served among these refugees for almost two weeks providing medical care and compassionate ministry. We were able to assist 944 patients in multiple clinics and provide the love of Christ to 1055 hurting children. We were able to pray and share the love of Christ with them. We were often humbled by the hospitality, grace, and faith of these left with so little. We promised that we would not forget them, and that we would seek to give a voice to their plight. What can Kentucky Baptists do in such a time as this? Let me offer five practical ways that we can help our Brothers and Sisters in Christ. First, we can contact our representatives in the U.S. government and be advocates for the persecuted church. ISIS is a threat to the stability of the Middle East, but they are a threat to our nation as well. They are a threat to humanity. We must be a voice for the voiceless. We must be outspoken in our cry for justice and in shining the light of Christ on evil. Not to speak is to speak. Second, we can provide tangible assistance to the over one million refugees living in exile in Kurdistan. Financial gifts can be designated to Baptist Global Relief, the International Mission Board and to the World Hunger Fund. Among the current needs that were requested of our team was funding to establish a mobile medical clinic and rent assistance that would enable families to move from camps into apartments ($600 a month will put three families into an apartment). Not to act is to act. Third, we can advocate for Iraqi Christians by asking that our government allow them to immigrate to the United States, and be willing as churches to sponsor refugees. Countless Iraqi believers would love to come to our nation, and would be resources to our churches that would strengthen our ability to reach others from the Middle East in our state. Would your church consider sponsoring an Iraqi Christian family to find refuge in America? Fourth, Kentucky Baptists can “Go.” Iraqi churches and other strategic partners are seeking churches and teams that will join them in this critical hour of ministry. Thousands of nominal Christians, Yazidis, and Shia Muslims have been displaced from their homes and have come together across Northern Iraq. ISIS has caused many Muslims to begin to question their beliefs, and forced nominal Christians to realize faith must be more than empty rituals. This has created a door of opportunity for the Gospel. 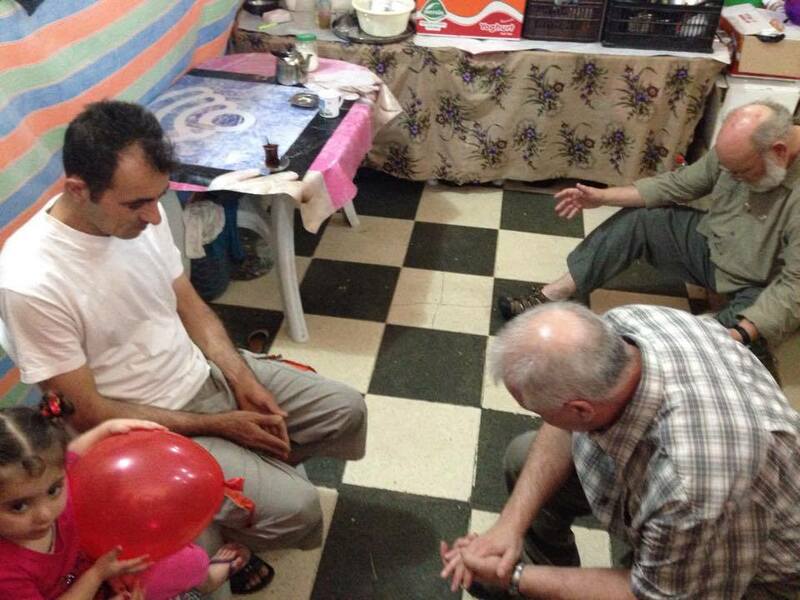 Believers in Kurdistan are crying out for partner churches to join them in this critical hour. There are current needs for medical teams, children’s teams, discipleship workers, evangelism training and pastoral training, women’s ministry, church construction, and strategic long-term church partners. They are crying out for Kentucky Baptists to join them as they seek to minister to a vast sea of refugees. God has cracked open a door that has been previously closed, so now is the time. Will we have the courage to step through the door for Christ? You are loved by God and the church of our Lord. You have brothers and sisters who will come alongside you and stand with you for the sake of Christ. Finally, the most important thing that we can do is pray. 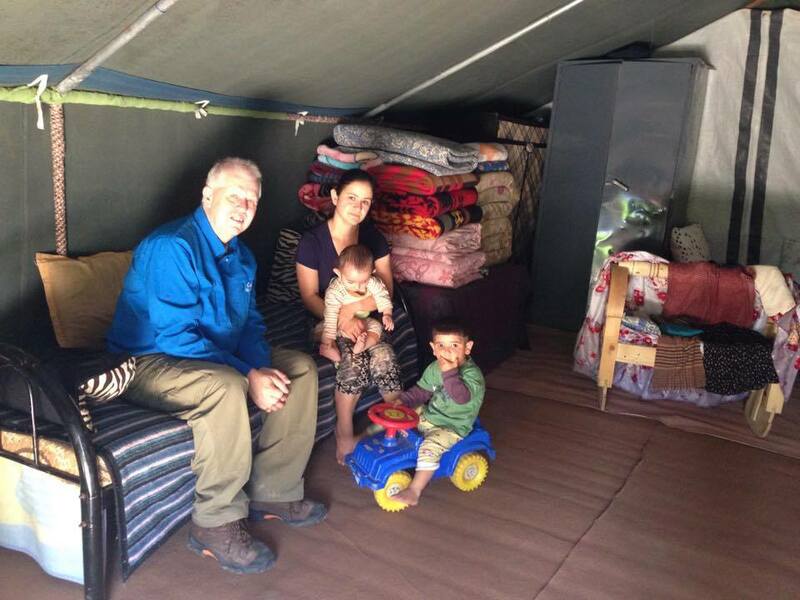 Pray for the thousands of refugees who have fled to Northern Iraq and surrounding countries. Pray for Christians who have been left homeless and without jobs. Pray that the Islamic State will be awakened to the truth of the cross. Pray for God to push back the darkness and evil. Pray that God will use persecution to expand His church and to open new doors for the Gospel. Pray for God to be magnified among the nations. Silence is not an option. How will you respond? Please contact the Missions Mobilization Team at the Kentucky Baptist Convention for more information on how your church can join us in this Great Commission task in Northern Iraq and the Middle East. You may call (502) 489-3527to learn more. ← What Should We Ask of the Association?